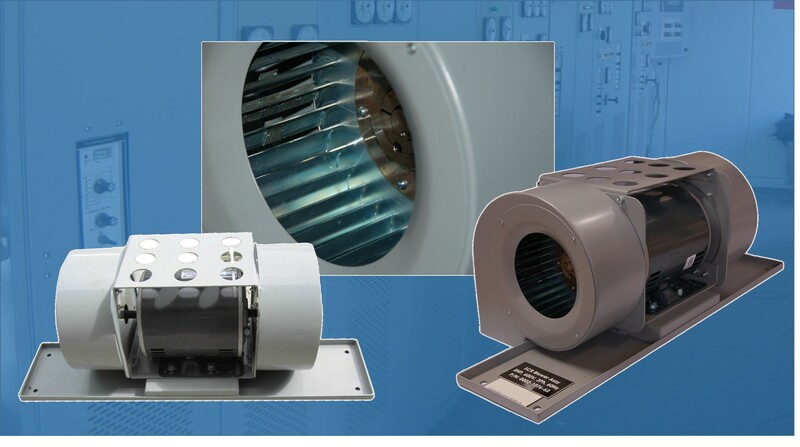 As part of our maintenance and service offerings, Zeefax manufactures a range of SCR Blower Assemblies specifically designed for retrofitting into legacy Hill Graham Controls (HGC) and Ross Hill Controls (RHCC) systems. 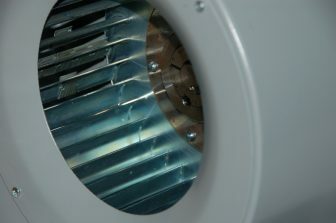 An important part of every system is the forced air cooling, which is vital to ensure continuity and reliability of operation of the SCR stacks. It is essential that the heat generated during operation is reliably carried away, and Zeefax now produce a series of SCR Blower Assemblies which are compatible with the those used in legacy Hill Graham and Ross Hill type systems. 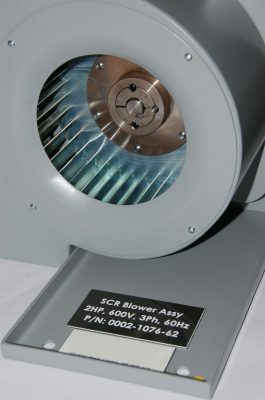 The Zeefax SCR Blowers are designed to operate with voltages up to 600 V @ 50 or 60 Hz; the operating voltage needs to be specified at the time of purchase (see the details and specification form below) and the blower may be configured with either Single or Duplex impellers and with or without base frames. 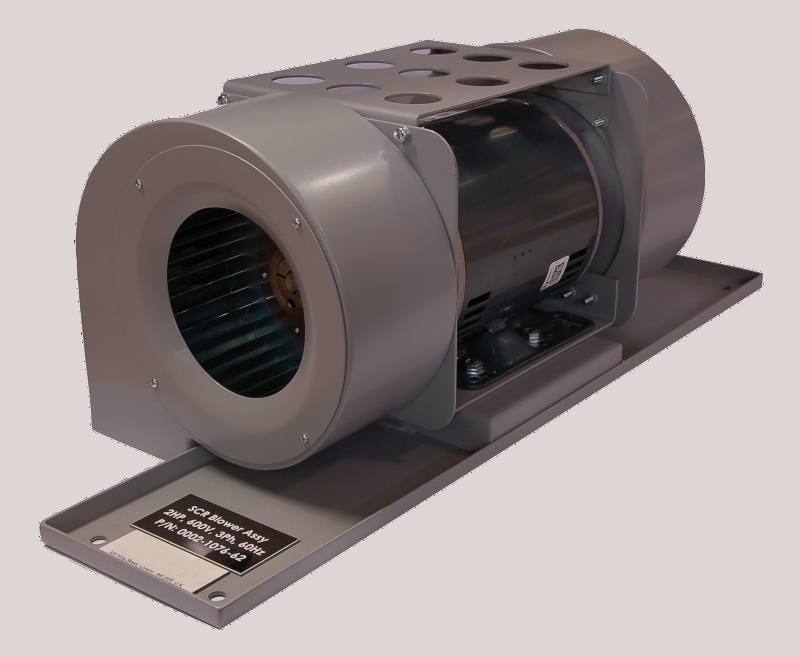 The Zeefax SCR Blowers can be used to replace faulty or broken blowers with confidence. 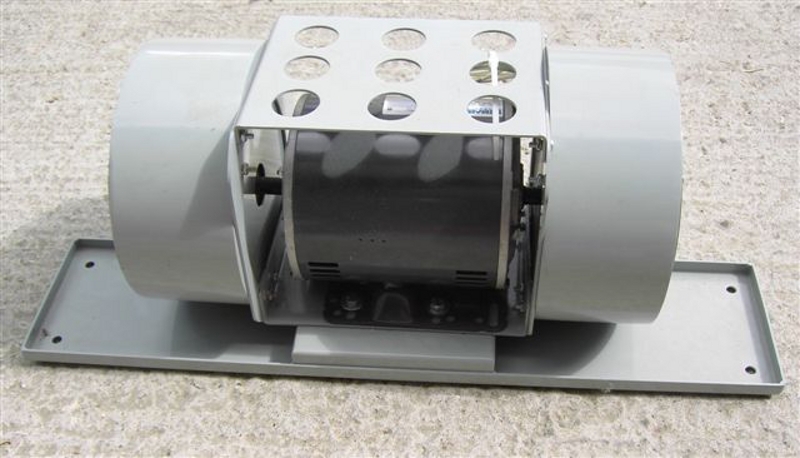 In order to aid potential users with the selection of replacement blowers, we have created a simple form which can be used to provide the few technical details we require. In this way, we can ensure that any SCR Blower supplied by us is fully compatible with existing assemblies, and will then install directly into the available location with minimal re-work required. You can download this form from this site; please fill it in and return it to us to receive a quotation. If you would like to know more about the range of available blowers, please call or email us, and we will be pleased to assist. Click here to download the fillable details form.